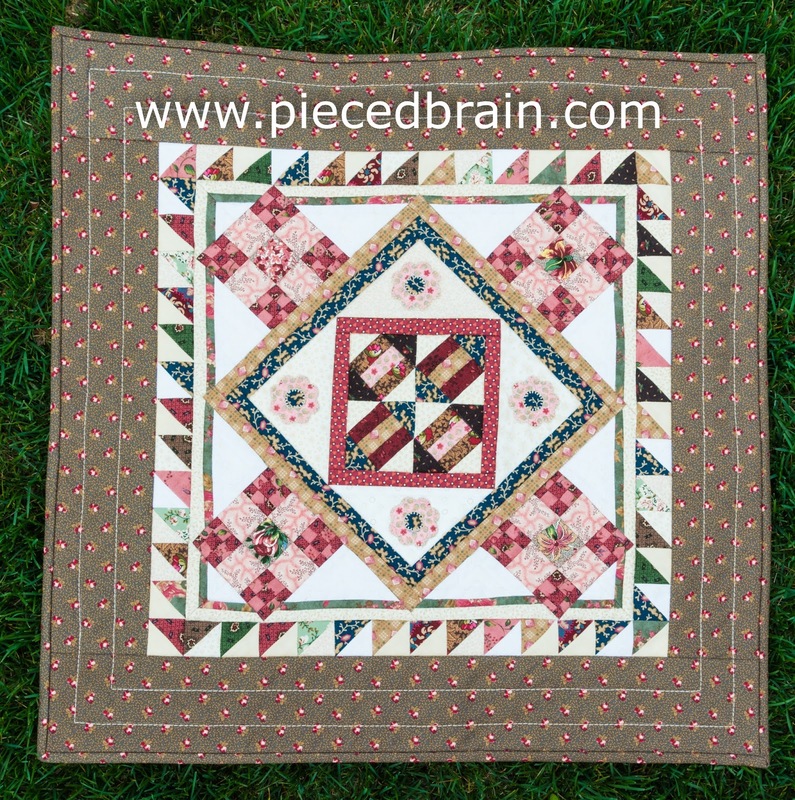 Pieced Brain: Miniature Quilt: you have to try it! 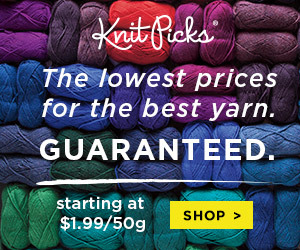 Miniature Quilt: you have to try it! 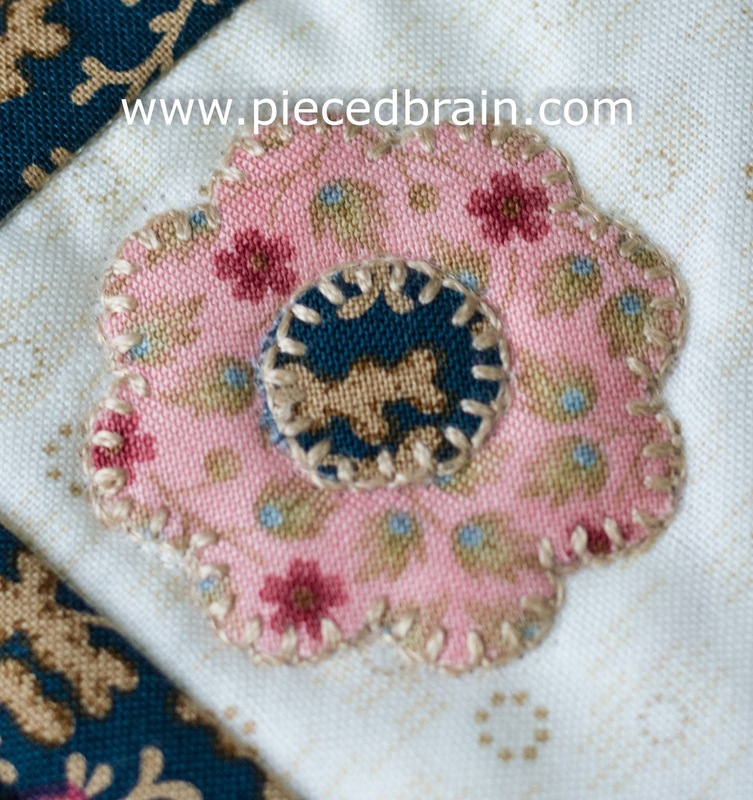 I was reading a book the other day with lots of patterns for miniature quilts. My only miniature quilt so far was a paper pieced wreath I made in 2006, so I got the itch. The book was all about the Civil War, featuring beautiful reproduction fabrics. Remembering I had leftovers from my turn dash quilt (see post here), I rounded up all the fabrics (mostly strips, so this qualify for the Strip-easy Quilt Challenge coming up on this blog on May 28!) and thumbed through the pages of the book in search of 'the' quilt to make. 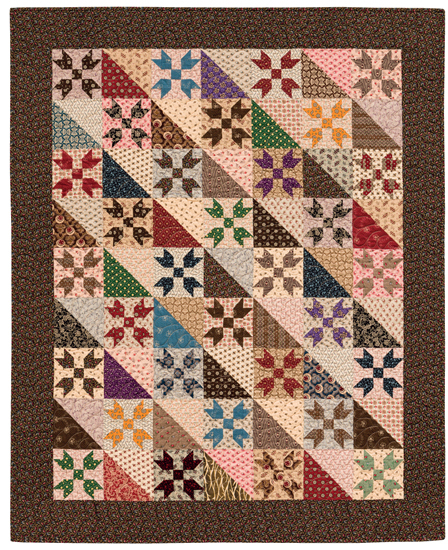 That turned out to be difficult as all the quilts were appealing to me, even though civil war quilts aren't usually on my 'must make' list. 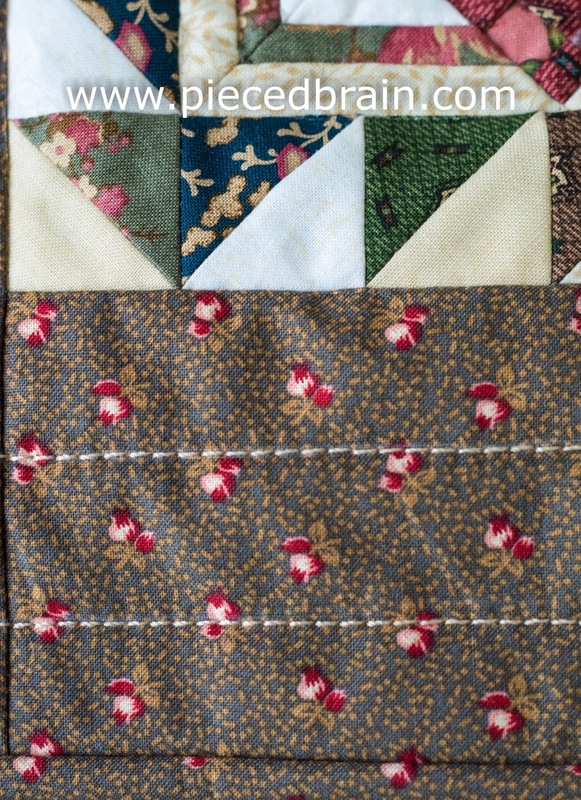 Every pattern in the book is preceded by a vignette with a story about the quilt itself or history behind the blocks. 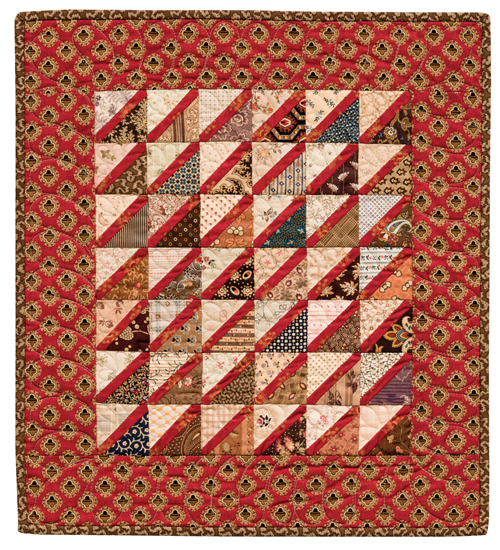 I was struck by the story about how crackers were a major staple on civil war soldiers' diet, so I picked the quilt called Hard Crackers and started making the blocks. After carefully assembling four blocks (pictured above), I decided to design my own quilt (what else is new...). 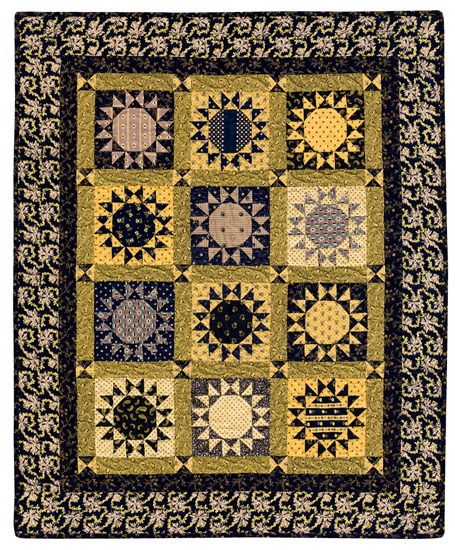 I had just been to a local quilt show and had lots of ideas, all involving medallion quilts. So, I joined the tiny blocks into one and started adding borders. 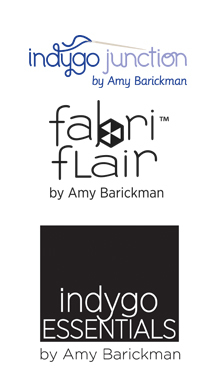 The instructions under the Quiltmaking Basics section of the book were very helpful! My resulting quilt measures 22.5" x 22.5" and I thoroughly enjoyed making every square inch of it! Yes, you must cut your fabric carefully. Yes, you must sew very slowly to ensure you are precise with the seam allowances. And yes, you must train yourself to measure your blocks every step of the way. Despite all these efforts, I messed up the 9-patches on my quilt... which only means I need more practice, that is all. However, I love this quilt!!! My tips: use Microtex needles and piece blocks with Aurifil 50 wt thread which will ensure a thin, precise 1/4" seam allowance. Note: I appliqued the flowers using Aurifil Mako 12 wt and was blown away by the look on the applique pieces! I also quilted the borders with same thread. Many of you would like to try your hand at miniature quilts but have been intimidated by the ones you've seen other quiltmakers make. This book is perfect as all the designs are beautiful, relatively easy to make, and the instructions will guide you along your journey. Oh, yes! 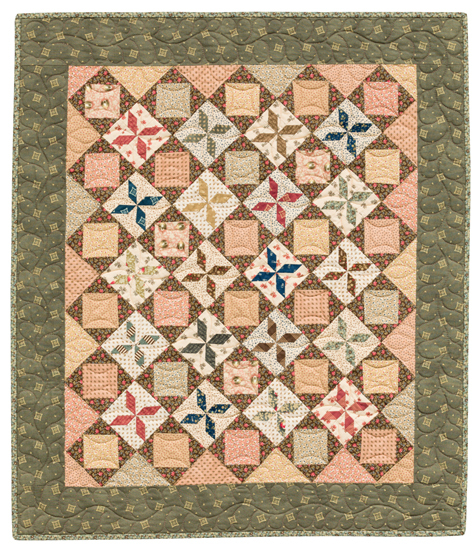 The book is Civil War Legacies II - Small Quilt Patterns for Reproduction Patterns by Carol Hopkins. Duh! On more thing: today is the last day of the Giveaway Day! 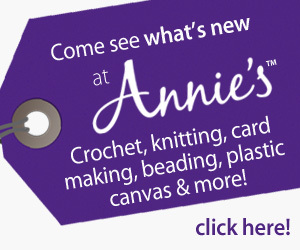 There is still time to enter to win wonderful sewing supplies and other handmade items from hundreds of bloggers, so sit comfortably and click away! 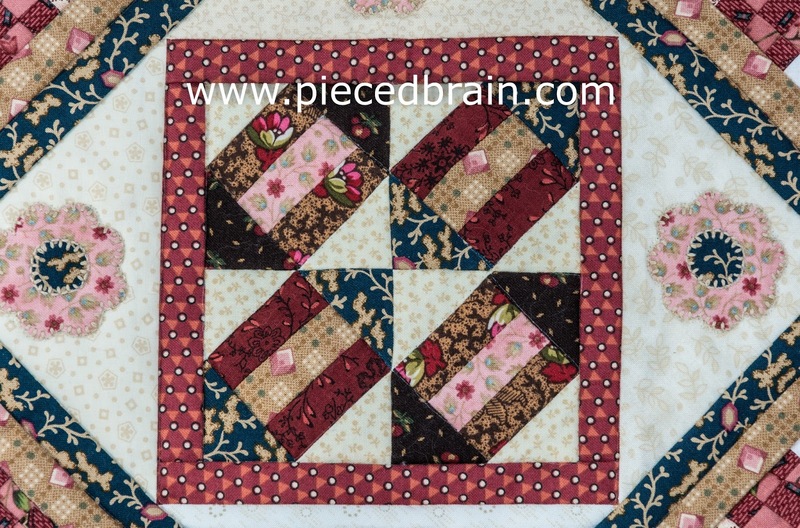 I love miniature quilts as long as the pieces aren't too tiny because those are hard to handle and sew. I have made a few and they are fun.